Who is the best speaker on Systems Thinking? Dr. Russel Ackoff (affectionately called the "Einstine of Problem Solving") is by far one of the most knowledgeable and engaging speakers on Systems Thinking. Funny, whip-smart, and passionately engaging, his videos filmed mainly in the 1990's are a must watch if you are new or even an advanced systems thinker. You can thank us later! This presentation is from a 1994 event hosted by Clare Crawford-Mason and Lloyd Dobyns to capture the Learning and Legacy of Dr. W. Edwards Deming. Russ knew Dr. Deming and speaks here about the difference between "continuous improvement" and "discontinuous improvement," as seen through the lens of systems thinking. In Systems Thinking, we often talk about how the cure can be worse than the disease, specifically when we don't take a holistic perspective into account when seeking to solve a complex problem. Known as the Law of Unintended Consequences, when non-systemic approaches are used for addressing complex problems, there are often unintended and unwanted outcomes that can result in even greater problems than were initially attempting to be dealt with. Does this make you think of a recent decision made that you had the power of hindsight on? That, after the intervention was done, the reality of the cause and effect was seen? Systems Thinking is a vital tool to help avoid unintended consequences, and it is a critical part of effective decision making. Reach out to find out how Disrupt Design can help you integrate a more holistic decision-making approach to your organisation's activities. 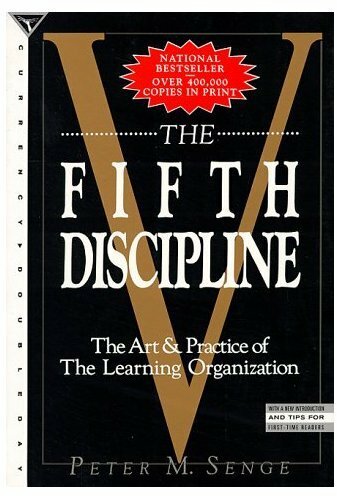 MIT Sloan professor Peter Senge is a leading proponent of Systems Thinking, having authored the 1990's seminal book, The Fifth Disciple. The book outlines the key approaches to applying systems thinking, understanding interdependence, and realizing the power this has in helping us change ourselves, organizations, and the systems that we create as humans. Peter Senge, author of The Fifth Discipline, Senior lecturer at MIT and Founder of the Society for Organizational Learning, shares his perspectives on leadership and systems thinking with IBM. Peter Senge's keynote speech "Systems Thinking for a Better World" at the 30th Anniversary Seminar of the Systems Analysis Laboratory "Being Better in the World of Systems" at Aalto University, 20 November 2014. Peter Senge is a Senior Lecturer in Leadership and Sustainability at the MIT. There is no doubt of the need to rapidly address the social and environmental issues facing humanity today. Thankfully, the global creative and business communities have started to adapt and take action by design, moving beyond the ‘business as usual’ approach of commodification of natural resources to the shift towards a circular and regenerative economy. Sustainability has taken on many cultural meanings since it was first widely used in the 1990’s to describe economic growth in line with biosystem constraints. But the real essence of this word is to make decisions today that won't negatively impact the ability for future generations to live the same, if not a better, quality of life that we enjoy. The shift toward a regenerative economy was ignited in 1987 when the Our Common Future (referred to as the Brundtland Report after the main author) report came out as part of the Rio Earth Summit. It was then that the word sustainability was catapulted into the public arena, used to frame the call for a global commitment to overcoming negative impacts associated with overconsumption and natural resource exploitation. It positioned a new way of economically developing within the Earth’s carrying capacity. There have been many attempt to get this right, and like any new arena, there have been many failures. But thanks to the progressive scientific community, we are discovering so much more about Earth's interconnected ecosystems, which in turn is allowing us to design products, services, and systems that meet our needs without creating more problems. Systems thinking is all about understanding and working with complexity and chaos. It's the antithesis of reductive, linear thinking, which results in siloed and marginalized outcomes when applied to a business or problem-solving context. This is why so many of the best leaders are natural systems thinkers; they are always seeking to see how parts fit within a complex whole and looking for the interconnectedness of issues and elements within a system. Furthermore, leaders who possess a systems thinking approach are more flexible and divergent in their solutionizing around issues that they face; as a result, outcomes don't lead to unintended consequences or transfer the issue to someone else. The solutions are systemic in nature and thus, address the root cause instead of the obvious symptoms of a problem set. Daniel Goleman and Bill George discuss ways leaders can hone their systems thinking skills. Here are 11 key principles of systems thinking. For a fantastic introduction, please check out this article by our CEO. Everything is interconnected: We live on a closed ecosystem called planet Earth where everything is connected to everything else. Otherwise, it ceases to survive and thrive. The easy way out often leads back in: If the solution were easy then it should have already been found. Today’s problems are yesterday's solutions: We need to make sure we don't accidentally create tomorrow problems through today's solutions. There is no blame in complex systems: Everything is interconnected. Thus, it's impossible to ever find one culprit for a problem. Systems have both the issue and the solution embedded within. Parts are elements of a complex whole: Everything is part of something else; there are no isolated elements in a complex system. There are no simple solutions to complex problems: We need to embrace complexity in order to truly address complex issues. Otherwise, we just deflect the problem to somewhere else in the system. Small, well-placed interventions can have big impacts: A well-designed, small intervention can result in significant and enduring systems change if it is in the right place – this is called a leverage point. Humans make linear systems – nature makes circular ones: We can learn to create regenerative products and services through understanding nature's design principles. Time changes complexity: Over time, things naturally get more complex. Simplicity and efficiency are very different things, yet we always think we can oversimplify complexity or reduce it down to the sum of its parts. ‘Failure’ is discovery in disguise: If there is no blame, then there is always an opportunity to discover through failure. Cause and effect are not related in time nor space: There is a mismatch and often a delay in the relationship between the cause of a problem in complex systems and the result (or symptom) appearing obvious. Systems thinkers can simultaneously see the complex whole and the minute parts that create it, in a dynamic and reflexive way. It is a way of thinking in three dimensions, rather than across one linear plane. Adopting habits of a systems thinker is a secret weapon in solving complex problems, being a more effective leader, and enhancing creativity. You seek to understand the big picture as well as the intricate parts that make up the whole. You see the patterns and trends within systems and can extract insights from them. You see everything as being interconnected. You identify the cause and effect of relationships. You don't assign blame; instead, you seek out causality and feedback loops. You see the whole as being different from the sum of the individual parts. You appreciate the dynamics and complexity of a problem. You think through the unintended consequences of your actions and design to reduce them. You can find leverage points to intervene in and effect positive change within a system. You are constantly testing, exploring, and experimenting.